Hardcover, 8 x 10 in. / 272 pgs / 165 color / 20 bw. Text by Jodi Hauptman, Karl Buchberg, Hubert Damisch, Bridget Riley, Richard Shiff, Richard Thomson. Once described as "the most beautiful painter's drawings in existence," Georges Seurat's mysterious and luminous works on paper played a crucial role in his short, vibrant career. 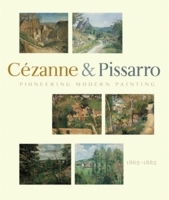 This comprehensive publication surveys the artist's entire oeuvre, from his academic training and the emergence of his unique methods to the studies made for his monumental canvases. Accompanying the first exhibition in almost 25 years to focus exclusively on Seurat's drawings, this volume presents approximately 130 works, primarily the artist's incomparable conté drawings along with a small selection of oil sketches and paintings. 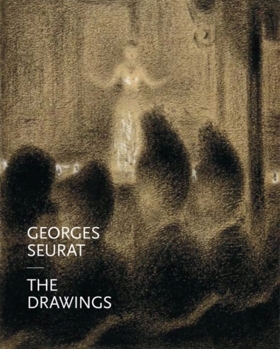 In an effort to bridge the seemingly opposite goals of description and evocation, Seurat masses dark and light tones to abstract figures, exploits medium and paper to amplify radiating light, and engages with the Parisian metropolis, revealing urban types, the industrial suburbs and nineteenth-century entertainment. Though Seurat is perhaps best known as the inventor of Pointillism, this volume demonstrates his tremendous achievement as a draftsman and his fundamental importance to the art of the twentieth century. It includes carefully selected details of the work, as well as reproductions from pages of Seurat's sketchbooks, which have never before been published. 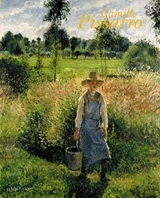 Texts by Jodi Hauptman, Karl Buchberg, Hubert Damisch, Bridget Riley, Richard Shiff and Richard Thomson address specific aspects of Seurat's techniques, materials, and subject matter. They are rounded out by a chronology, a selected bibliography and a detailed checklist. Edited by Christophe Becker. Essays by Wolf Eiermann, Barbara Stern Shapiro. FORMAT: Hardcover, 8 x 10 in. / 272 pgs / 165 color / 20 b&w.